In its 100-year’ish history, the music industry has had many prominent players. Today, it remains one of the most interesting, competitive, and volatile industries in the world. Ever since music became a physical commodity (vinyl records, tape, CD, mp3), there has always been gate-keepers controlling and profiting from its sale. With the advent of the internet, sharing-services like Napster seemed destined to destroy the business of recorded music. On the contrary, the internet has increased revenues from music. The profits have moved on from physical copies of the music and moved over to experiential and marketing industries. In this book, the author explains how a small handful of people – mostly Americans and Scandinavians – continue to control what dominates the music charts, and how the new music business works. The world of top pop music is still small. 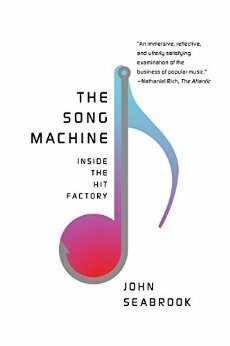 He explains the composition of a hit-song has changed – how factory-like the assembly line of pop-music production has evolved, and how the actual music is now only a part of a much larger commercial product. Although the days of the authentic, artistic musicians gaining mainstream success may be gone, a new micro-economy has emerged. In this new business model, artists can be extremely true to their art, and attract those fans who truly resonate. This can create a living for any artist who dares to follow their art faithfully, and in the future, we are likely to see millions of artists creating beautiful work for their authentic audiences. We are also likely to see incredible massive overnight hits, followed by immediate irrelevance. Fan-loyalty and mass media consumption have diverged, and true art is floating somewhere in the wreckage.